I grew up watching The Cosby Show and seeing Bill Cosby with his Jell-O Pudding Pops on television every Saturday Morning. Unfortunately, I haven’t been able to find Jell-O Pudding Pops at the grocery store in a long time. 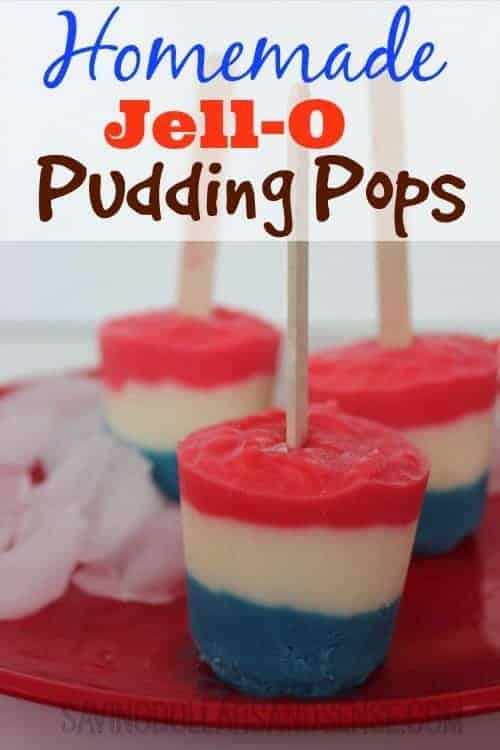 I’ve heard they no longer make them, but rest assured you can still make them at home with this Homemade Jell-O Pudding Pops recipe. 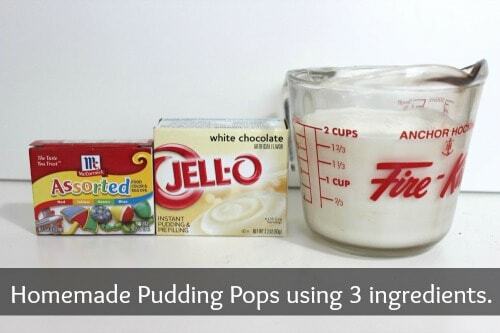 These Patriotic Pudding Pops are the perfect summer treat! 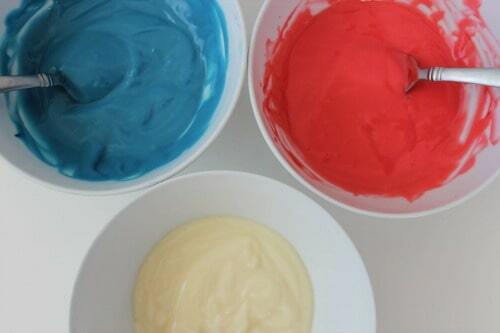 Mix milk and pudding in bowl for 2 minutes. Divide into 3 equal portions. Color 1 portion red with about 15 drops of food coloring. Color 1 portion blue with about 15 drops of food coloring. Transfer each color to a zippered sandwich bag. Clip the corner of the blue and pipe it equally into the bottom of 5 3 oz Dixie cups. Lift and gently tap each cup on the counter to level up the pudding. Repeat this process with the white and then red colors. Insert a popsicle stick in the middle of each cup and place in freezer for 4-5 hours or until firm. If you are looking for more Patriotic Recipes, check out these Homemade Ice Cream Sandwiches, Berry Trifle, Chocolate Dipped Oreos and Homemade Snow Cones.